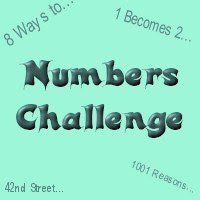 Callista is hosting the Numbers Challenge again - yay! The 2009 version runs from 1 January to 1 August and requires 5 books that have a number in the title - 2 of which do not overlap with any other challenge. I think that list bit will be the toughest challenge of all! This one looks like fun! I may join you! Great choices! I really loved both 1984 and Slaughterhouse 5. Hi Nymeth - it's embarassing how long those two have been on my list! Seems interesting...I'll have to find a couple of books that I could read for this one before I sign up! Thanks for joining my Numbers Challenge. If you want to be a member of the challenge blog, I need your email addy, otherwise when you write a review of a book, come back to the blog and leave a link to your review in the comments of the appropriate post. Thanks.